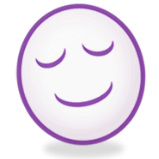 THE VISION: Mood & Mind was founded based on the simple concept that nature provides everything we need to feel good, think bright, and live happy. As more and more people turn away from synthetic pills and toward a natural route to well-being, Mood & Mind is here to help meet those needs. THE JOURNEY: Mood & Mind was created in 2008 by Jen and Paul Sturgis, who continue to direct the company with the same love and excitement they've shared on their journey together since becoming best friends in college in 1993. 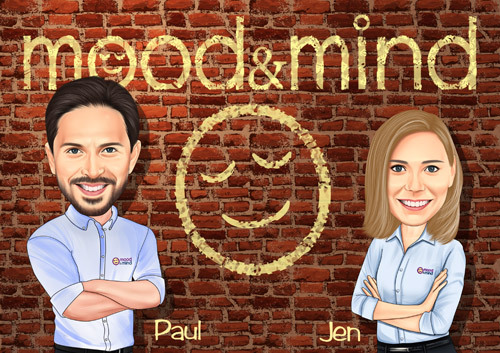 Like many other e-commerce success stories, Mood & Mind started small but has now grown to a thriving, dedicated team working at their headquarters located on the doorstep of the Pisgah National Forest. THE GOODS: Well before launching, Jen and Paul personally benefited from and believed in a great many of the natural ingredients that Mood & Mind is known for today. For instance they used Stevia for many years, but noticed that it was virtually impossible to find certified organic Stevia powder or Stevia without fillers. As a result, Mood & Mind was one of the first companies selling pure organic Stevia extract powder with no fillers. Now, after ten years in business, Mood & Mind manufactures and sells hundreds of natural products for mental, physical, and emotional well being. Although many great products from other manufacturers are also available at MoodandMind.com, the vast majority of what the company sells is their own branded products, produced onsite at their FDA-GMP compliant manufacturing facility. THE EXPERIENCE: Jen and Paul both worked for Disney in Orlando for a time, and when they started Mood & Mind they were determined to bring that same good old fashioned, personable customer experience to their own company that they respected at Disney. Their mission is for every customer to absolutely love shopping with Mood & Mind. If for any reason you as a customer should find this is not the case, just contact us with "Attention Jen & Paul" in the subject, and they'll get the message. The "Mom & Pop" business run with love may be a dying breed, but it isn't extinct yet!